/ Home / Research and expertise / COAST Engineering Research Group / Physical modelling of a wave energy converter in collaboration with Sea Energy Associates Ltd. 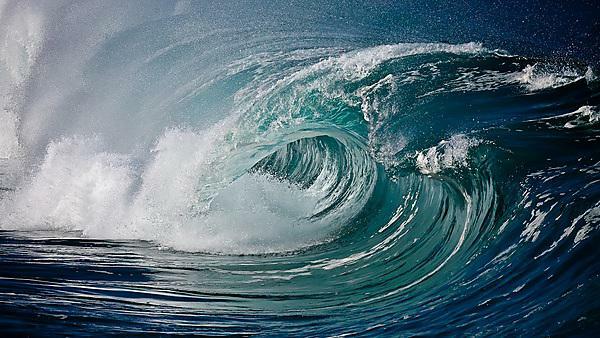 Wave energy converters (WECs) transform the kinetic energy of sea waves into a more useful form. Often the kinetic energy is used to drive a turbine to generate electricity. Currently, there are many different types of WEC in development, each with a different operating principle. Before a WEC can be deployed in the sea, the device must be shown to work in the laboratory at a smaller scale. Plymouth University is working in collaboration with Sea Energy Associates Ltd to evaluate the working principle of a new WEC that uses the horizontal motion of the waves, rather than their vertical motion, to compress air. The focus of my research until spring 2014 is to design a scale model of the proposed WEC and then to design and conduct the experiments to quantify its performance. The work will comprise three stages: theoretical model development, physical model design and build and experimentation. The physical model experiments will be done at 1/10th scale and will take place in the COAST laboratory of Plymouth University. These facilities will allow the WEC to be exposed to both regular and irregular wave conditions of a variety of heights and periods. The work is in collaboration with Opukuro David-West, another postdoctoral researcher at Plymouth University, who will use numerical modelling to study the structure and the materials of the proposed design.